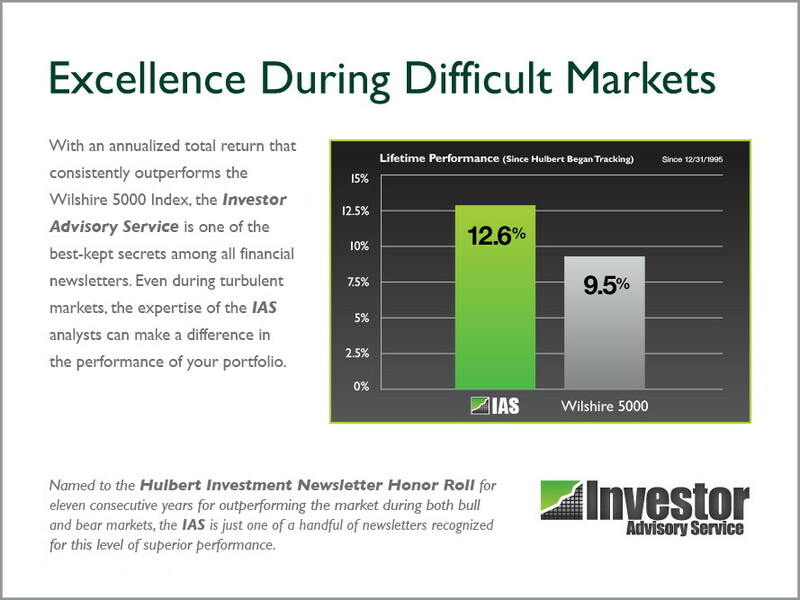 As one of the nation's top-performing investment newsletters, the IAS has consistently been recognized for its track record in both bull and bear markets. 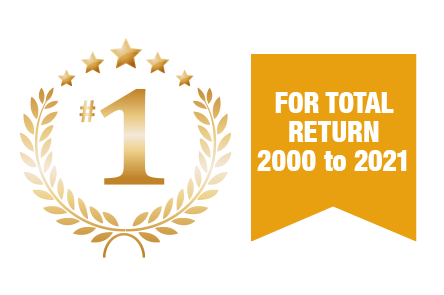 Since 1973, the IAS has outperformed the overall market with a sound, buy-and-hold approach to identifying well-managed, high-quality companies. The IAS highlights emerging and oft-overlooked stocks with excellent growth potential and reasonable valuations. Each issue analyzes three stocks in detail, along with providing timely market and economic commentary in plain English. Issues are available online the moment they're published for both print and digital subscribers. Plus, search years of back issues in the IAS archives. Receive updates on more than 80 previous recommendations, including e-mail alerts of breaking company news and sell recommendations. New to the IAS? Take a Tour. Click on the Thumbnail at Left to Learn About the Features of the Investor Advisory Service Newsletter and Our Proven, Market-Beating Investment Methodology. The Investor Advisory Service is proud to be named to the Investment Newsletter Honor Roll of the Hulbert Financial Digest for our eighth consecutive year of eligibility. In 2017, the IAS was one of just a handful of equity and mutual fund newsletters to receive this prestigious accolade. 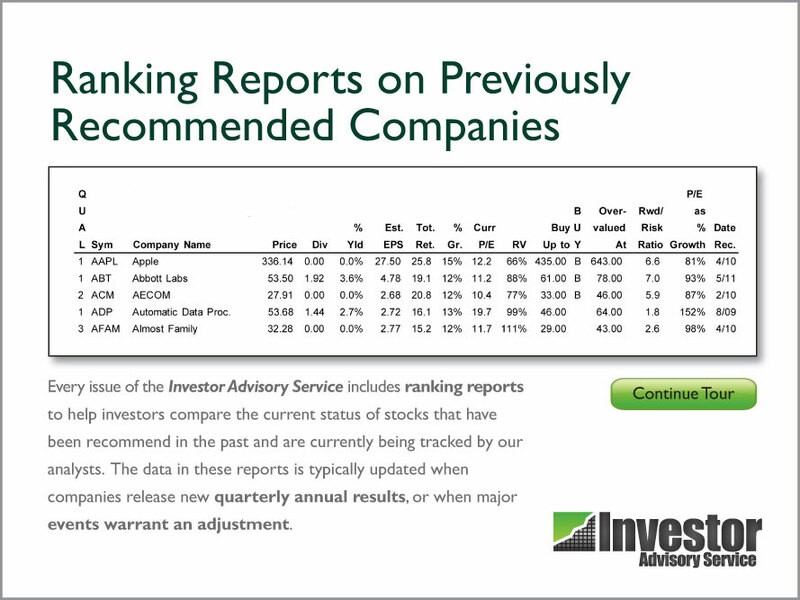 The Investor Advisory Service has outperformed the market over the last 10- and 20-year periods, making it one of the top-ranked newsletters for consistent long-term stock market performance. 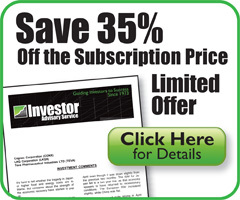 The Investor Advisory Service, or IAS, is one of the top-performing investment newsletters in the United States. Founded in 1973, the Investor Advisory Service is among a select few investment newsletters named to the Investment Newsletter Honor Roll of the respected Hulbert Financial Digest. Only a handful of investment newsletters are recognized with this prestigious, independent recognition of performance in both bull and bear markets. 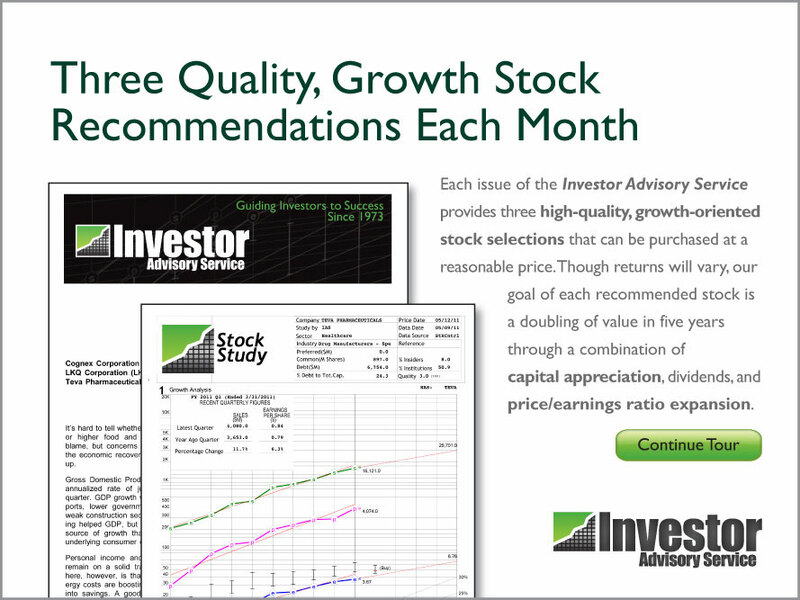 As an investment newsletter available in both print and online editions, the Investor Advisory Service seeks to identify small and mid-cap stocks based on a time-tested, market-beating methodology of buy-and-hold investing.